Established in the year 1972, we, “Sabar Scientific”, an ISO 9001:2008 certified organization are engaged in manufacturing, supplying and exporting an array of Laboratory Glassware and Equipment. Our whole range of products is widely applauded by our customers for having features like compact design, sturdy construction, low maintenance, easy installation and enduring service life. We have invested time to find a trustworthy vendor base to procure only quality-approved raw material to manufacture our products. Our consignments find applications in fertilizer industry, paint manufacturing industry, oil & gas, petrochemical plants and cement industry. We are assisted by a very strict team of quality controllers which check the whole process of manufacturing of our products. For offering qualitative products we have achieved recognition across the globe. We export the whole range of products to the international market located in the East Asia, Middle East and South East Asia apart from Indian Subcontinent. The highly esteemed customers of our organization are Zydus Group (All over India), Weatherford Laboratories, Australia, Cadila Pharmaceuticals Ltd, Gujarat and Torrent Pharmaceuticals Limited, Gujarat. Our organization is also boasts of the robust and state-of-the-art infrastructure spread over large area. This infrastructure comprises various departments like manufacturing, research & development, warehousing & packing, quality assurance and logistic. Each department is equipped with all latest technology and equipment to carry out various business processes in a hassle-free manner. Under the profound guidance of our highly esteemed mentor, 'Mr. Harish Bhise (CEO)' we have achieved a leading position in the market. He has years of experience in the industry. Engaged in manufacturing, exporting and supplying a range of Laboratory Glassware and Equipment we are a reputed organization. This array of products is widely appreciated for having features like ease of installation, remarkable efficiency, portable and compact size and low power consumption. Our products find applications in pharmaceutical industry, fertilizer industry, paint manufacturing industry, oil & gas, petrochemical plants and cement industry. The Laboratory Glassware and Equipment manufactured by us is using quality-tested raw material which are sourced from famous vendor base. Our production team also uses cutting-edge technology in the production process of these consignments. Owing to having various features like precise reading, strong resistance from heat and chemical and ease of installation, our products are used in the following industries. We are one of the quality centric organization and work hard to maintain consistent quality in all the products. Our organization has hired some of the expert quality controllers who check the every stage of production. We also obey industrial rules and regulation in manufacturing the range of Laboratory Glassware and Equipment. 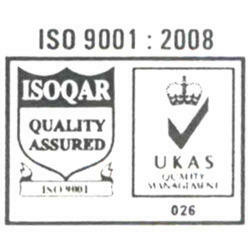 For providing products of international quality we have achieved ISO 9001:2008 certificate. We are assisted by a team of experienced team of professionals which work hard to optimize the satisfaction level of our customers. To manufacture a quality-approve Laboratory Glassware and Equipment, each team member works in close coordination and unity. Our quality assurance team monitor the whole process of production to maintain consistent standard in our products. We are one of the rare leading companies which also emphasize on the delivering complete level of satisfaction to the customers apart from profit making. Our team only supply the range of Laboratory Glassware and Equipment after strict quality tests. We have also made available the products in a market leading price. In addition to this, we are assisted by a highly effective logistic department which assure timely delivery of the products to the premises of customers. We have also garnered various international customers located in East Asia, Middle East and South East Asia apart from Indian subcontinent for offering standard products.